A strong season for Mr. Esmail and company seemingly resolves some key story lines while leaving open the possibilities for the main characters next season. I most appreciate the episode which was shot to seem as if it was one long continuous take (brilliant) and the way we are left with a sense that Elliot and Mr. Robot are closer to integrating than ever before, or at least finding a better way to work together. It has gotten a bit tiresome to see Elliot so psychotically fractured over and over again as a means to move the story along, and by the season’s final episode, it’s feels much better to have him connecting with Mr. Robot without having to pass out to see what he’s been up to. Killer work by the cast again, especially Bobby Canavale as Irving (what a great final episode for him), and BD Wong in some wonderful moments throughout the season. 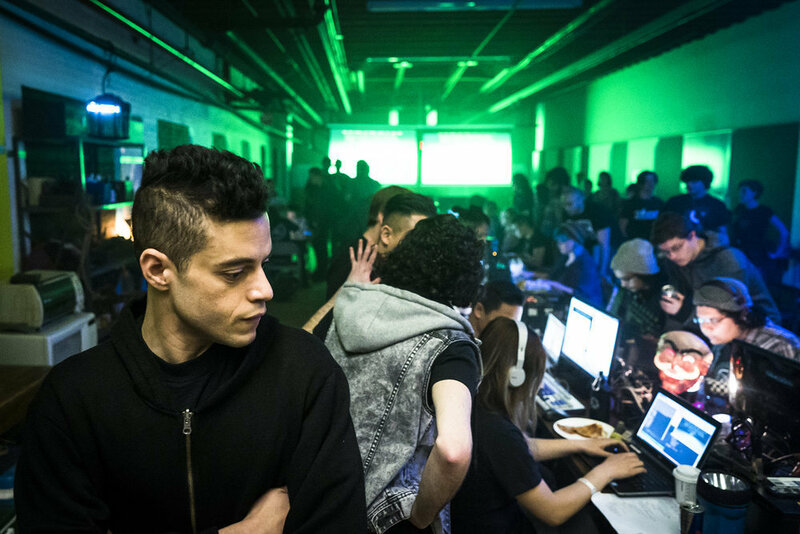 The principal cast was also outstanding again with Rami Malek bringing it strong as usual. I look forward to next season and make this one a Must See. This entry was posted in Television and tagged BD Wong, Bobby Canavale, Must See, Rami Malek, Top TV 2017, TV, USA.